Who accredits WSU and when is WSU’s next accreditation visit? WSU is accredited by the Northwest Commission on Colleges and Universities (NWCCU). Most recently re-affirmed in 2018, WSU has been continuously accredited since 1918. WSU’s most recent comprehensive seven-year review and visit occurred in April 2018. For additional information, please see WSU’s Accreditation website. How does the work that faculty and departments do to assess student learning support WSU’s accreditation? Program assessment is key to WSU’s demonstration of regular and systematic assessment, where teaching faculty are responsible for systematically collecting information about student learning, discussing results, and using information to guide decisions that support quality curricula and effective teaching and learning. For more information, see Assessment and Accreditation. What does accreditation by the Northwest Commission on Colleges and Universities (NWCCU) mean? Accreditation by the Northwest Commission on Colleges and Universities indicates that an institution meets or exceeds criteria for the assessment of institutional quality evaluated through a peer review process. An accredited college or university is one which has available the necessary resources to achieve its stated purposes through appropriate educational programs, is substantially doing so, and gives reasonable evidence that it will continue to do so in the foreseeable future. Institutional integrity is also addressed through accreditation. How is regional accreditation different from professional accreditation? Regional accreditation focuses on the institution rather than a program or college. A regional authority accredits a wide variety of institutions (community colleges, four-year schools, etc.) in a particular region of the country. Losing regional accreditation, while rare, has significant consequences, which may include loss of reputation, federal financial aid, grant funding, transferability of courses, or even closing the doors of the institution. WSU programs or colleges with additional professional or other separate accreditation are listed on the WSU Accreditation website (see Accredited Programs by College) and in the WSU Catalog. These programs or colleges are peer reviewed and meet additional educational standards for their discipline. Which states are included in WSU’s region for accreditation? 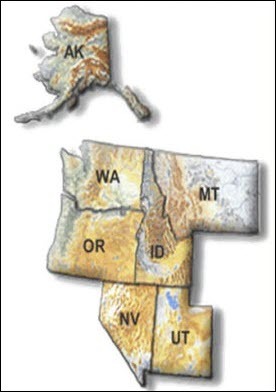 Alaska, Washington, Oregon, Idaho, Montana, Nevada, and Utah are included in WSU’s region for accreditation.